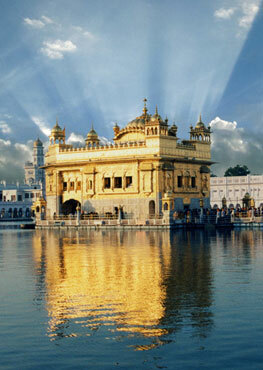 Today we've come here to talk about Guru Nanak Dev ji. It's a wonderful time to do this because 2019 is the 550th anniversary of his birth. As we approach Guru Nanak Dev ji, there's just so many ways to think about him, the contribution he made to the earth, his impact on us today. I know for me, in order to get into the mentality of Guru Nanak Dev ji, I wanted to go and look at the sources. We're talking about midieval India, and where are those sources, we do we find the original material that will tell us who he was. -Bhai Gurdas: Was alive and in the personal court of Guru Arjun. Also had a close relationship to Baba Buddha ji who met Guru Nanak. -Bala Janak Sakhis: Apparently created in the presence of Guru Angad by the mouth of Bala, the personal companion of Guru Nanak. If you hear a janam sakhi is usually from here. -Puraatan Janak Sakhis: meaning old stories. These come in different collections of stories. -Bhai Mani Singh Janak Sakhis: Written in the 1700's. What we do is look at the janam sakhis as a whole. Those stories that are consistent through the different versions, we take those with more weight. As you do your own research on the janam sakhis, run it through the prism of your own consciousness, and sense of truth. In the janam sakhis you'll find so many stories that are incredible in nature, they are miraculous in nature. Again, I urge you to read them and take them to heart. I myself believe in many of those miraculous events because this being that came to earth as Guru Nanak Dev, came directly from the heavens. So who am I to say what he could and couldn't do?